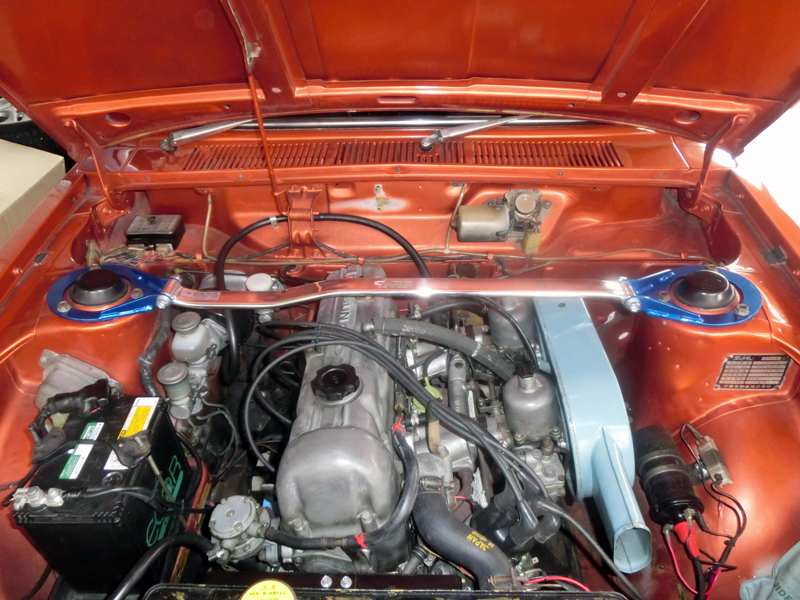 Newly re-designed front Strut Tower Brace for Datsun 510 by using the most popular bar material Type-OS (Oval Shape, Type-II) is now available. 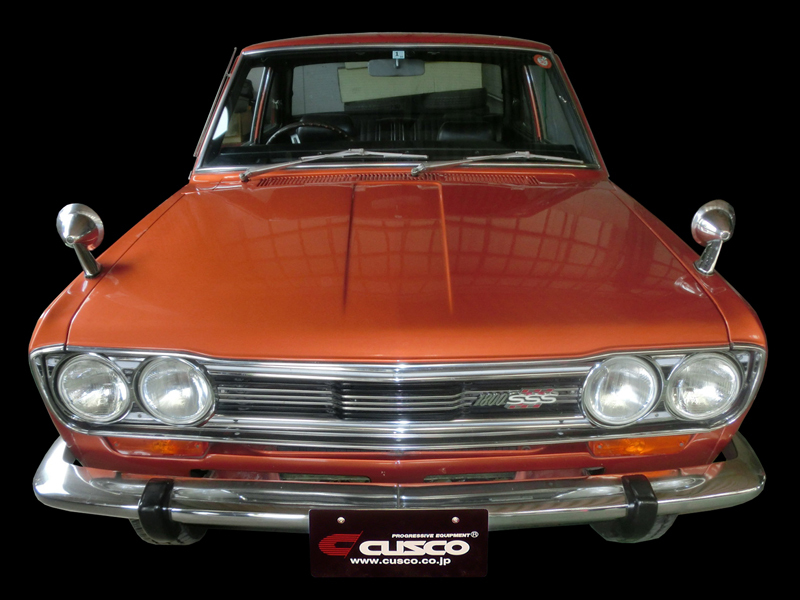 ◆Designed for Datsun 510 (P510 Bluebird) models exclusively. 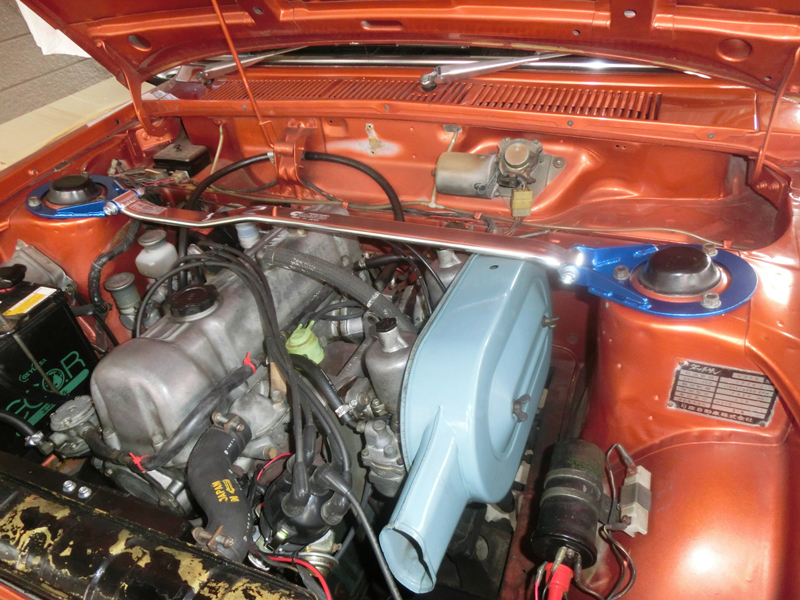 - Design Base: SU Twin Carburetor with OE Air Cleaner Box as showing in pictures. - Note: Due to the age, condition & modification of the vehicle, the hood stay still might hit to the bar. 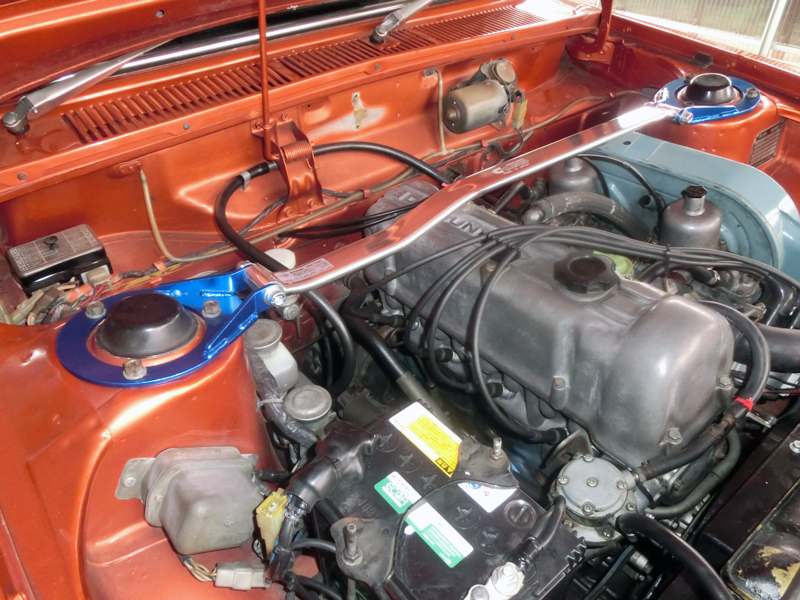 If this case, you will need to modify the hood stay bracket a little to make enough clearance between the bar and hood stay. 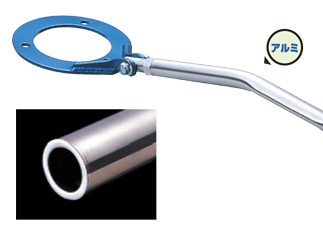 Our current Type-AS (Round Aluminum Tube) is designed in straight only and it requires to modify or remove hood stay to use with this product. There is a renewed intersest for "old school" vintage Japanese cars these days, and we can't be more thrilled to see such trends taking place. Cusco has been racing and rallying since 1977 and Toyota Corolla, Celica, Nissan GTR, Fairlady Z were all part of cars central to our team's racing and rallying history. We've taken some time to revisit some of these parts we made over the years and decided to update some with new designs. 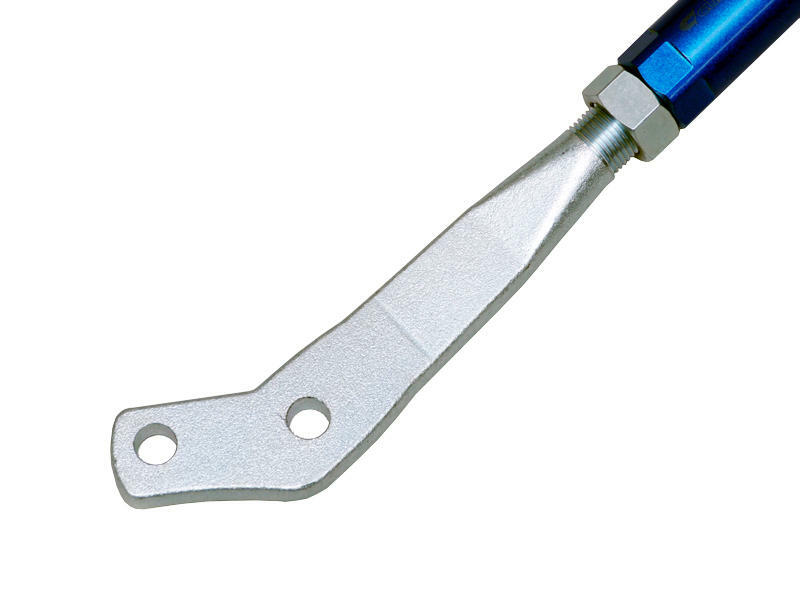 The inner rod portion of the rod used in this front tension rod set is forged, yet offered at reasonable prices with new manufacturing technologies possible today. 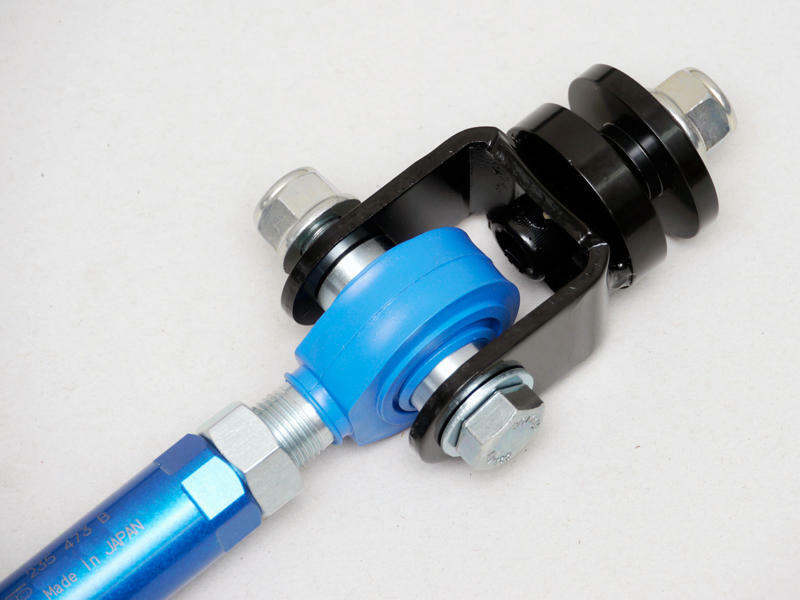 Designed with the same durability in mind for rallyists as well as racing enthusiasts, the tension rods will help retain the critical front wheel alignment under loads, and offer adjustments beyond the factory fixed positions to cater the response and precision of the vintage cars. It is part of a critical suspension system upgrade for the classic cars, to ensure it is both competitive, and in tune with modern tacitly. 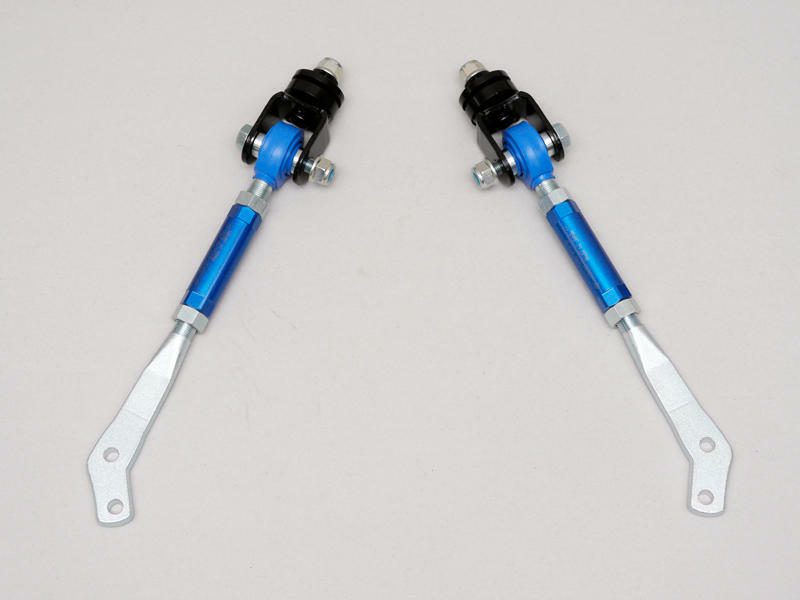 Bolsters front suspension for higher braking forces applied by today's high performance tire loads. Dust boots and aircraft-grade pillow ball joints. Estimated Installation Time 1 Hour.